Welcome to Star Locksmith Las Vegas, the only Las Vegas locksmith company in Las Vegas area that will always provide you with reliable and trustworthy service. For the last decade, we have faithfully served the Las Vegas community with affordable locksmith services, and our long standing in the market is a testament of our excellent work ethic. Our professionally trained and licensed locksmiths consider quality service and customer support at the core of every job that they fulfill. Whether you have a complex security upgrade to implement, or want to replace a lock in your home, no job is too big or too small for our locksmiths to handle. Protecting your business premises in Las Vegas is essential, considering the important information, documentation and other assets that you have on site. Furthermore, your staff need to feel as though they are in a safe and secure environment in order to perform well. Our locksmith services will elevate your security, and they include the installation of high quality locks (including computerized locking systems), repair of any damaged locks and keys, installation of CCTV monitoring systems and maintenance of locks and security equipment. Star Locksmith Las Vegas is able to cater to all your residential locksmith needs, including changing and rekeying locks in case you move house, replacing, rekeying and repairing and broken keys, unlocking doors when you cannot gain access and conducting a security evaluation to ensure your home is as safe as possible. 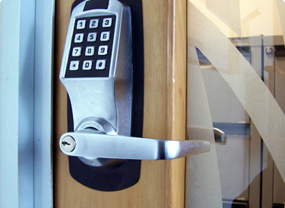 We use only high-tech quality materials and machinery to deliver our locksmith services. No matter what type of automobile you own, including cars, trucks, motorcycles and so on, we are able to resolve your locksmith issues at any location. Our mobile locksmith can offer your car keys replacement on the spot, as well as solutions for keyless systems, extraction of broken keys and solving ignition issues. As Star Locksmith Las Vegas serves the entire metro area including Henderson, you know that when you call us, you are covered. In addition to covering a wide area, we also offer our professional services 24 hours a day, 7 days a week. Our motto for our emergency services is to get there ASAP, and that is why we will always reach you in thirty minutes or less. Trustworthy Las Vegas Locksmith Service! We offer excellent discounted rates to our customers, which gives us the chance to deliver brilliant services without our clients breaking the bank to pay for them. We also use materials and equipment that are of the highest quality, so that in the future, you focus on maintenance rather than worry about replacement. The main reason that you can trust us to provide honest, reliable and professional service is that we are licensed, bonded as well as insured. This protects us, protects your interaction with our services, and also protects your property. At Star Locksmith Las Vegas, we care about our customers and are dedicated to offering perfect customer support. Once you get in touch with our friendly support staff, you will find that they are well informed and can give you insight on the best solutions for our residence, business premises or automobile. In addition, all our locksmiths are trained to offer exemplary customer service, making them unparalleled to any other locksmith services in the community. Our service is not complete until as a customer you have 100% satisfaction. 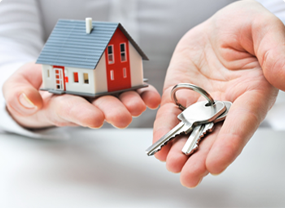 Wondering how you can identify a professional locksmith from Star Locksmith Las Vegas? Here is what you can expect from us. Every locksmith wears a company ID. 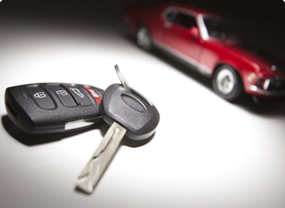 Our locksmiths undergo thorough background checks, which include ensuring they are ALWAYS drug and alcohol, free. Our locksmiths travel in official Star Locksmith Las Vegas vehicles, which are clearly marked with our logo and contact information. With ten years’ experience in the market, we are fully equipped with the most up-to-date technology and machinery to meet all your locksmith needs. We are up to the challenge of changing, sourcing or repairing any type of lock that you may have or require. Make a wise choice by selected a locksmith company that has experience, is professional and focuses on meeting customer needs. There are many locksmith companies out there, and the wisest choice you can make is Star Locksmith Las Vegas. Love your locks, and choose the best.